Many people living in the North Texas Municipal Water District will soon be able to water twice per week. The water district's board voted Thursday to ease water restrictions from Stage 3 to Stage 2 from June until September. Individual cities, however, may implement their own rules. "The reasons we're able to revert back to Stage 2 include that we've had really good rain events through the winter and the spring that have returned our reservoirs back up to or near full elevation," NTMWD spokeswoman Denise Hickey said. She said the district's water-projection models show water supplies holding steady through early fall despite less rainfall than average in May. "Our water supplies are in better shape than they were last year," Hickey said. Under Stage 2 restrictions, residents may not use irrigation watering between 10 a.m. and 6 p.m.
Plano resident Tim Lee said he is happy to see the change. He said he has struggled to keep his yard and landscaping alive. "If we have enough water supplies, I'd like us to do something," he said. 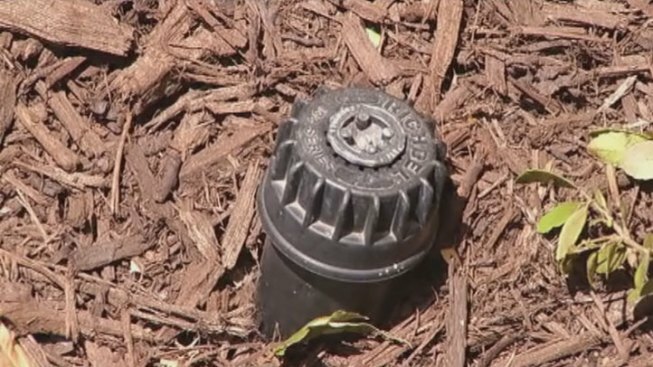 Lee said he has been waiting for the rules to change since nearby cities such as Dallas began allowing twice-per-week watering earlier in the year. The NTMWD is encouraging conservation until it can access Lake Texoma. The lake, which makes up 28 percent of the district's water supply, cannot be used because of an infestation of zebra mussels. "We have this summer to get through and next summer to get through before all of our supplies are hopefully back on line," Hickey said. The NTMWD serves the following member cities: Allen, Farmersville, Forney, Frisco, Garland, McKinney, Mesquite, Plano, Princeton, Richardson, Rockwall, Royse City and Wylie. Additionally, the NTMWD lists the following towns as customers: Bonham, Caddo Basin SUD, Cash SUD, College Mound WSC, Copeville SUD, Crandall (Kaufman Four-One), East Fork SUD, Fairview, Fate, Forney Lake WSC, Gastonia-Scurry SUD, Greater Texoma Utility Authority (GTUA), Josephine, Kaufman, Kaufman Four-One, Lavon W.S.C., Little Elm, Lucas, Melissa, Milligan WSC, Mount Zion WSC, Murphy, Nevada WSC, North Collin WSC, Parker, Prosper, Rose, Hill SUD, Rowlett, Sachse, Seis Lagos UD, Sunnyvale, Terrell and Wylie Northeast SUD.